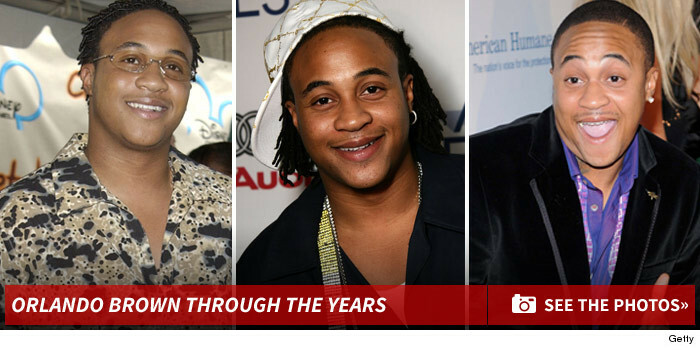 Disney star Orlando Brown is in the crosshairs of prosecutors after an audiotape surfaced in which he allegedly threatens to kill a woman, her daughter and her mom. Police were called to the woman's North Hollywood apartment Monday just after midnight. The woman claimed the "That's so Raven" star was going nuts outside. Neighbors also called 911, one of whom claimed Brown had a weapon. TMZ has obtained a copy of the audio -- which police have forwarded to the L.A. City Attorney -- in which a man threatens, "I'll kill you, your mama, your daughter, everybody." Brown's rep tells TMZ the actor insists he's not the one on the audio, but cops disagree. Our police sources say they believe it is indeed Brown and they've forwarded the case to the City Attorney. Brown says the woman is a stalker who has been "excessively" texting him, and he went to her apartment to explain to her boyfriend nothing was going on between them. Brown has had his share of legal troubles. He served jail time for failing to complete his alcohol ed class in connection with a DUI.